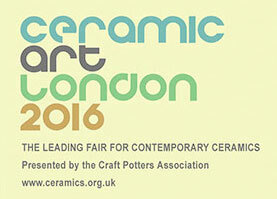 Beyond it’s Bloomsbury headquarters, the CPA organises high quality ceramic fairs and events, both independently and in partnership with other organisations, providing the wider membership with a number of direct selling and promotional opportunities. These now attract exhibitors and visitors from throughout the UK, Europe and overseas, giving the public a unique experience – meeting the artists, learning about their techniques and inspiration, and buying an extraordinary range of superb original works. 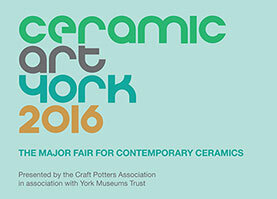 Ceramic Art York, using CAL as its model, is run in partnership with York Museums Trust and was held for the first time in September 2015. Located in Museum Gardens between York Art Gallery and the Yorkshire Museum in the heart of York’s historic city centre, it was timed to celebrate the launch of York Art Gallery’s impressive redevelopment housing the Centre of Ceramic Art, home to outstanding collections of 20th century ceramics covering the entire British studio pottery movement. The inaugural show featured fifty selected exhibitors from Britain and Europe, a ‘Discovery’ programme of lectures, demonstrations and tours of the CoCA collection, a well stocked ceramics bookstall and a Ceramic Review stand.